Fans of the film, inspired by the film, took on the #BirdBoxChallenge, performing everyday tasks blindfolded. Following the release of Netflix's 'Bird Box,' the streaming service has appealed to viewers not to take part in a challenge which involves people putting blindfolds on themselves. The post-apocalyptic psychological thriller, directed by Susanne Bier and now streaming on the platform, sees Sandra Bullock playing a mom who wears a blindfold to avoid seeing mysterious forces that cause people to commit suicide, as she tries to save her children by leading them through dangerous terrain. The fans of the film, inspired by the film, took on the #BirdBoxChallenge, performing everyday tasks blindfolded. Some took it too far, ending up running close to traffic, and even accidentally causing their kids to run into walls. 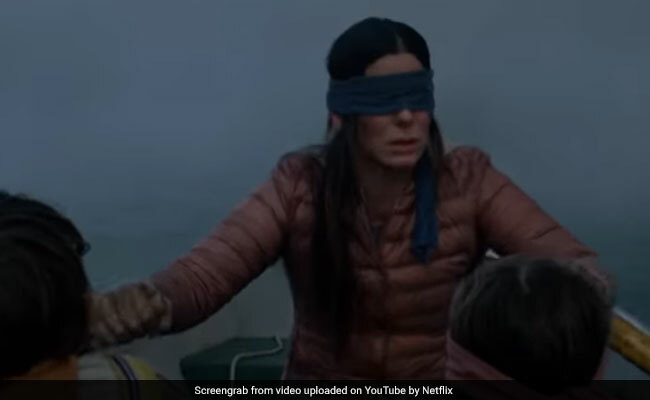 After the challenge went viral, Netflix issued a warning to viewers about Bird Box, writing, "Can't believe I have to say this, but: PLEASE DO NOT HURT YOURSELVES WITH THIS BIRD BOX CHALLENGE. We don't know how this started, and we appreciate the love, but Boy and Girl have just one wish for 2019 and it is that you not end up in the hospital due to memes." Bird Box portrays a post-apocalyptic world in which all humans have to wear blindfolds to avoid a force that possesses people and makes them kill themselves if they make eye contact. The people in the film are forced to rely on their other senses to move through the world.